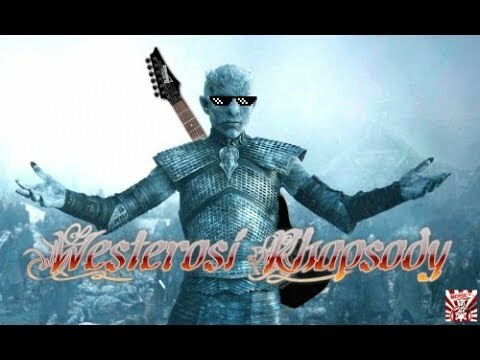 I hear you: What are the top 6 Game of Thrones Musical Parodies that have come out since the show’s premiere? Well, we’ve come up with a list that’s sure to get your foot tapping. And the best part? These songs can be played anywhere. About to watch Game of Thrones and play Musical chairs? These songs will help you out. About to invite the Freys to a wedding? These songs will definitely help you out. This song hurts me. Like, really hurts me. It rewinds time, bringing up memories when everything was sweet and I fell in love with “a certain HBO show”. Watching this show late at night with friends, I saw this darkly but strangely funny show with some of my favorite actors. OMG Sean Bean? He was in that James Bond movie! Ah. He died in that movie. And he’s in a fantasy now? Again? Hey guys, remember how he got shoot with a dozen arrows in Lord of the Rings? 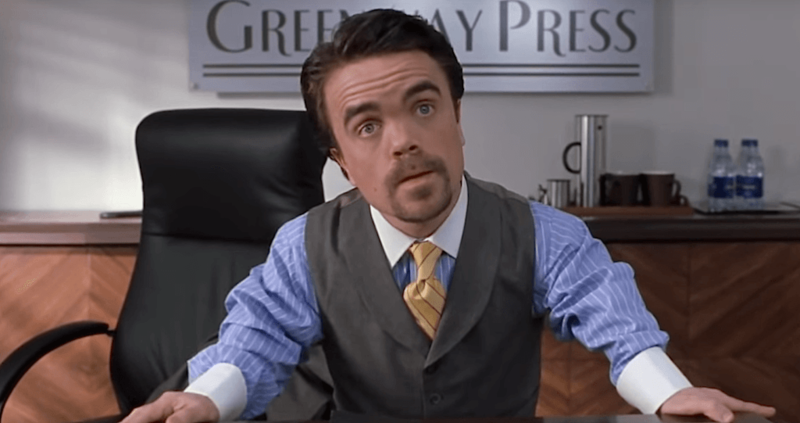 Is that Peter Dinklage? He was the dude in Elf! I loved it when he beat Will Ferrell half to death. Then comes Ned Stark. Why is it always Ned Stark? Oh, I remember now…because of all us TV show watchers thought he was the main character! He was on the poster, as the song cleverly reminds me. Oh, and guess what? This song is from July 2nd, 2013. You know what happened on June 2nd, 2013? The Red Wedding aired. At least these girls had an outlet for their grief. But that’s not the worst part. The worst part is this song is from 2013, where the names of all the dead characters fit easily into the length of a song? Ah, those were the good old days. By the way, the beat is killer. Released April 16th, 2014, this mash up combines different musical styles as we travel through Westeros and they fit just like a glove. What song does does Daenerys Targaryen parody? Well, she has blond hair, purple eyes, and THREE DRAGONS. Dragons breathe fire, and I’m afraid of burning alive. So what song goes with Daenerys Targaryen? Skillet’s song Monster. Yep, that fits. 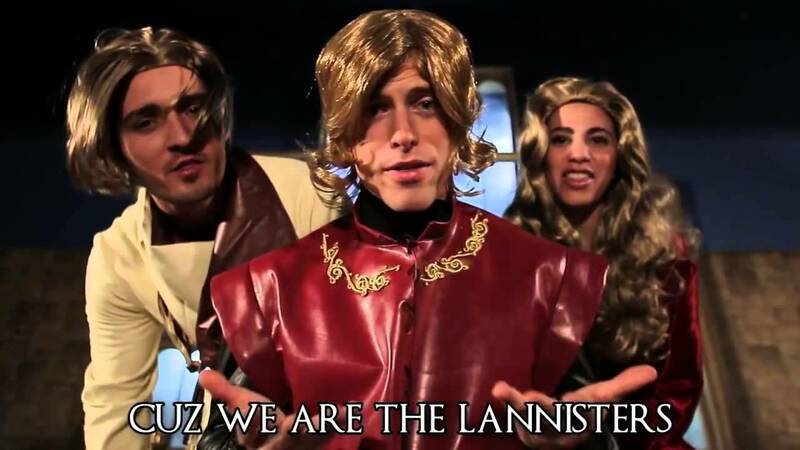 What about House Lannister? Well, they’re lions and you know what lions do? They roar, like Katy Perry’s hit. And then we get Jon Snow rapping, and we’re just about halfway through. It’s been a long running meme that George R R Martin likes to watch you cry because he just killed off your favorite character. But at least he hasn’t sung about it. Oh wait! Released March 12th, 2015, this video has George R R Martin doing his best Taylor Swift impression and it flies off the charts. With lyrics like “Sorry Sean Bean” and “I get off on killing everyone you love” I think we can cool it off with the “George R.R. Martin is lazy” joke because, let’s face it, as soon as he releases Winds of Winter, we’re going to be cry again. This fabulous 7 minute song goes through all the major female characters in Game of Thrones, from Cersei joyfully describing the death of Robert Baratheon to Brienne of Tarth melancholy when talking about Renly death, you’ll have your foot tapping in no time. Plus, who else wants to see Cersei actually being happy? Like, ‘I’m so happy I want to sing!’ kind of happy. If the next season doesn’t have Cersei singing, I’ll riot. Who’s with me? Spoiler Alert. 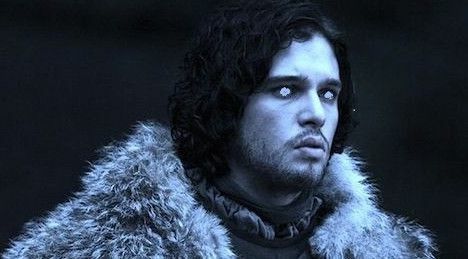 Remember when Jon was dead for a long time and your friends were debating if he was coming back. This parody is for you. Twenty-five in and this became one of my favorites songs of 2019. Yes, I know this song came out on April 18th, 2016, but this only goes to highlight our love of Jon Snow. Remember when he died? You didn’t believe it for a second. Released in a time when Jon Snow’s fate was up in the air, this song captures that denial. “I will not let him go/I will not let him go” she sings, and it pulls at my heart strings. Yes, I too refused to my cynical side take over and admit that “my favorite crow” was dead. And now I feel vindicated that he’s alive, and you can too. So what’s a good band? Queen. You know what’s their best song? Death of two legs. But Bohemian Rhapsody is also up there, and since Bohemian Rhapsody is pop culture’s anthem, why wouldn’t you combined it with Games of Thrones. 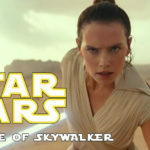 Released July 12th, 2017, I’m surprised no one did it before. Okay, someone probably did, but it’s not as good as this. This is the best thing I’ve heard since I heard Queen for the first time. Recapping the series up to Season 6, this song replaced key moments from the song such as “Mama, just killed a man/put a gun against his head/pulled my trigger now he’s dad” with “Your mama/she’s your aunt as well/which means your father is also your uncle” as well as singing the show’s highlights. Tywin on the toilet? Walder Frey sitting at the Red Wedding? Theon Greyjoy transforming into Reek? It’s all here, and they sing about it. It’s hilarious, and if you want a recap you’re not going to get much better. I mean, it’s Queen meets Game of Thrones for crying out loud.